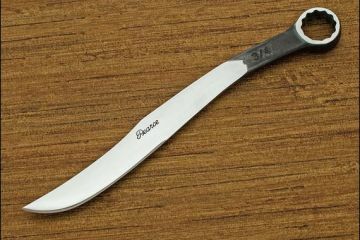 There’s a reason why plenty of people carry pocket knives: you just find uses for them throughout the course of the day. 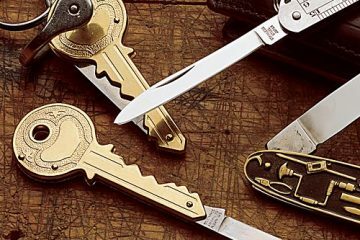 Problem is, pocket knives aren’t the most convenient thing to carry during a run, which is why most of us leave our everyday folders when going out to put in our daily mile quota. 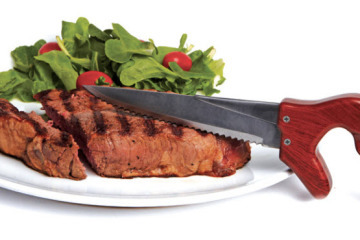 Unless, of course, you’re carrying the TRAK knife. 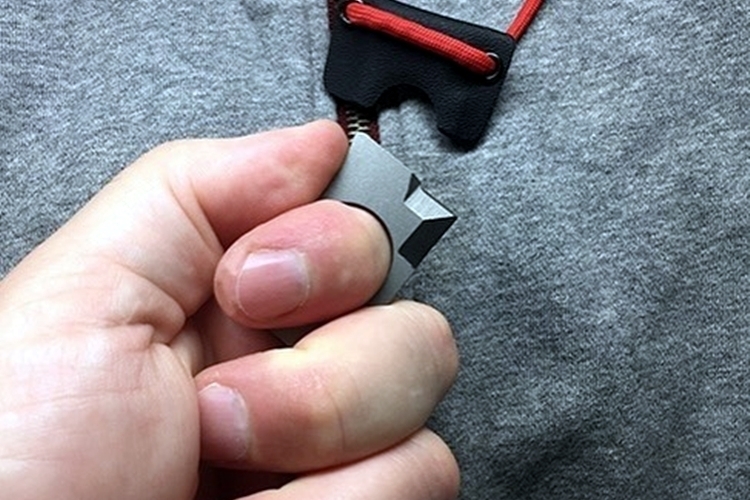 Short for “Titanium Runners Anywhere Knife,” it’s a finger-sized blade that’s designed to hang on a key ring, slip into a hip pack, or cram into a coin pocket during runs. 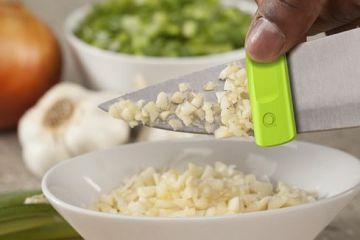 It’s small, slim, and lightweight, making it a non-distracting addition to your regular running gear, so you can have a go-to knife to rely on when the need for one comes up. 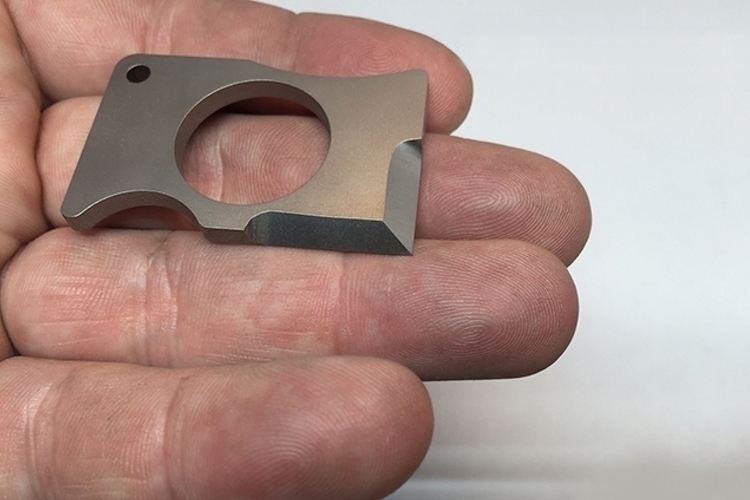 The TRAK Knife comes in two sizes: medium (40 x 25 mm) and large (46 x 29 mm), both of them cut in military-grade titanium, with a weight of less than half an ounce. 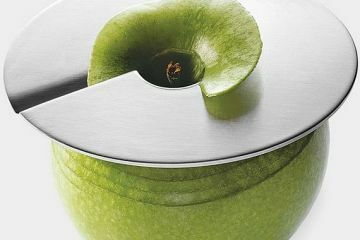 Unlike conventional knives that you grab with a hand, you use it by slipping your forefinger on the hole then wrapping the sides with your thumb and middle finger (it curves along the sides to accommodate those fingers), making drops and slips virtually impossible. 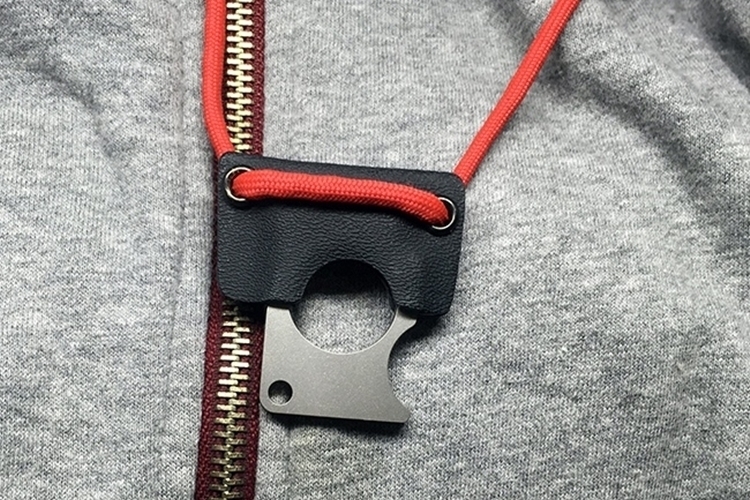 It comes with a sheath for covering up the blade during transport, which you can either hang on a lanyard, slip on a key ring, or squeeze in a pocket all by its lonesome. 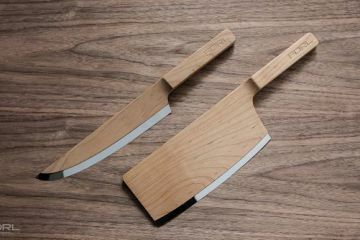 A Kickstarter campaign is currently running for the TRAK Knife. Pledges to reserve a unit starts at $29.